In addition to leading Apple Macs and Window computers, software, and accessories, at Hardsoft, we also have a wide range of printers that are available to lease. A number of years ago, we decided to introduce printer leasing in order to give businesses an alternative to either buying a printer and toners or paying a price per page printed. Our alternative? Fixed price printing combined with a fast and efficient onsite service. Through this service, you can get a printer supplied, installed, networked with your office PCs, maintained, and even supplied with toner, all for a fixed cost. Significant reductions in your running costs by up to 80%. Cartridges are included so you just pay for the prints you produce, no matter how much toner you use. Regular servicing ensuring the reliability of your new printer and maximising its life. Quick on-site response by specialist technicians, meaning that any disruption is kept to a minimum. At the end of the lease, you can choose to return your printer, retain it and pay £1 to own it, or renew the lease and upgrade to a new printer. Perfect for use in an office environment, we offer KYOCERA, Xerox, and HP printers for optimum reliability, minimal waste, low running costs, and environmental friendliness. 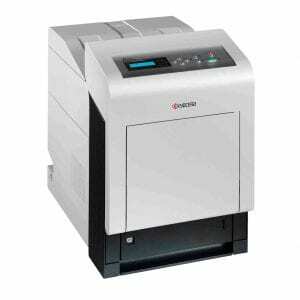 If you are looking to lease a printer that prints documents that are larger than A3, or printers that are suitable for CAD, fine art reproduction, signage, or even pro photography, we supply a range of HP, Epson, and Canon large format printers. 3D printing is no longer reserved for high tech, high budget organisations. Today, 3D printing technology is cheaper and more accessible than ever before. We lease a range of 3D printers from Makerbot. For further information about our fixed cost printing services, please get in touch.